AbbeyPrint strongly believe that doing something good for the world that we live in should be part of every company’s business plan. Plastic pollution is one of the biggest environmental threats of our time. Businesses all over the world have come to rely on plastic for storing, transporting, protecting, displaying and serving their products. This versatile, lightweight, flexible, moisture resistant, durable, inexpensive material now coats almost everything we buy. Products not encased in plastic packaging are now an exception rather than the rule. Globally, we are now producing 320 million tonnes of plastic every year – the same total weight as every human on Earth! Meanwhile, more than 8 million tons of plastic leaks into the ocean each year (mainly from land sources) – which equates to a truckload of plastic a minute! This explosion in plastic use comes at a HUGE cost – both for our environment and for human health. Here at AbbeyPrint we are actively investigating alternative materials to help both our customers and ourselves reduce plastic use and waste – with obvious benefits for the environment. How can reducing plastic affect my business? There are business benefits to be derived from using less plastic too, not to mention enhanced brand reputation. We want to be part of the solution in reducing your plastic use – not just because it’s the right thing to do but it can also make good business sense. Lead the way by adopting sustainable practices that work for your business without costing the earth. Whilst some of the materials being made available right now may cost a little more, businesses already face high costs for disposing of plastic and other materials, whether for recycling or landfill. There are now many more eco boards being introduced to the market that are 100% recyclable along with your paper waste. 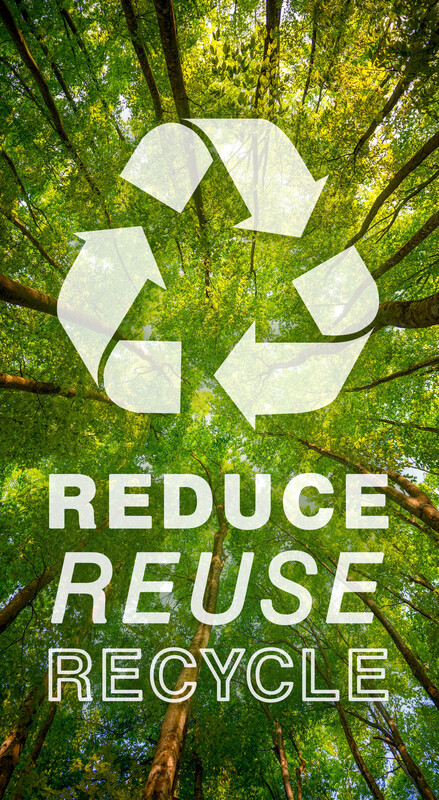 Reducing the waste you generate will save you money and greatly improve your green credentials. Green consumers are now a growing tribe of passionate, vocal customers whose loyalty is worth earning. If you actively show you are trying to do the right thing for our planet, they are very likely to become your most loyal advocates. Sustainable practices can help you receive recognition from independent bodies giving you positive social media and PR stories to share with customers and suppliers alike, whilst raising your profile among new audiences.